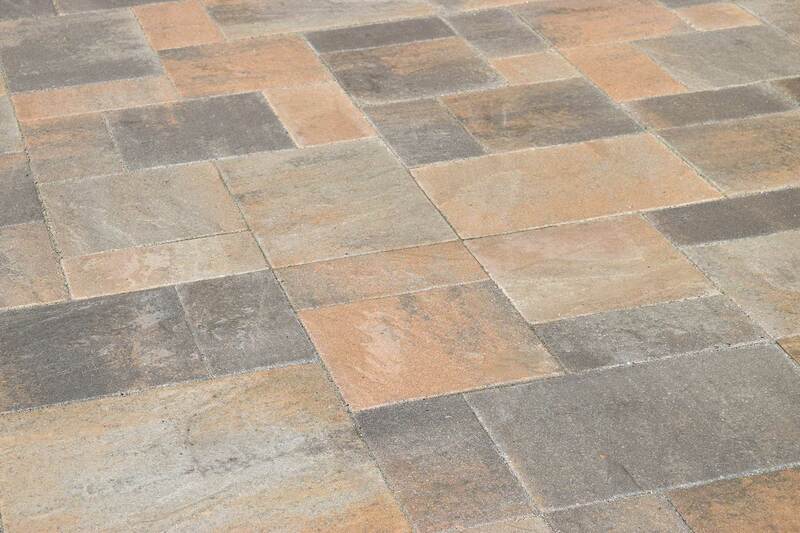 Your driveway, patios and walkways are one of the most important investments you can make in your home. 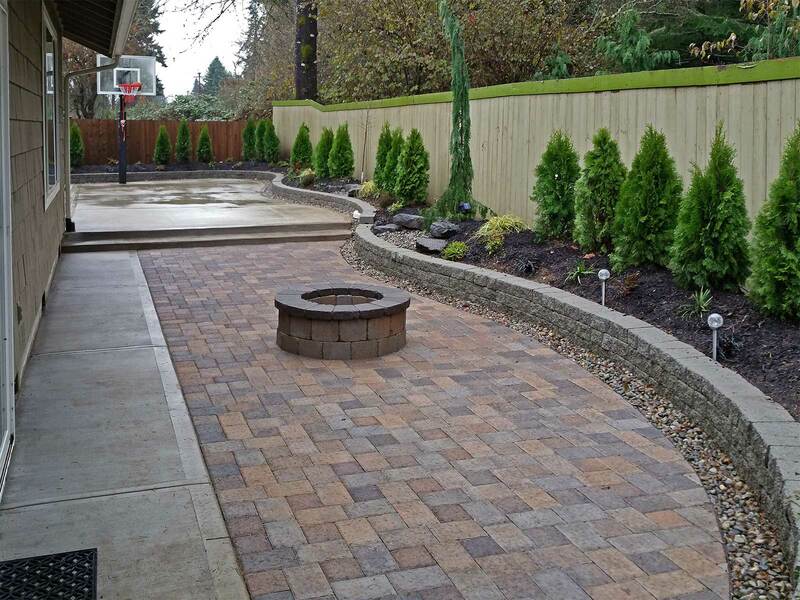 These landscaping features are used every day, and they are also highly visible, making them a direct reflection on the curb appeal and value of your home. 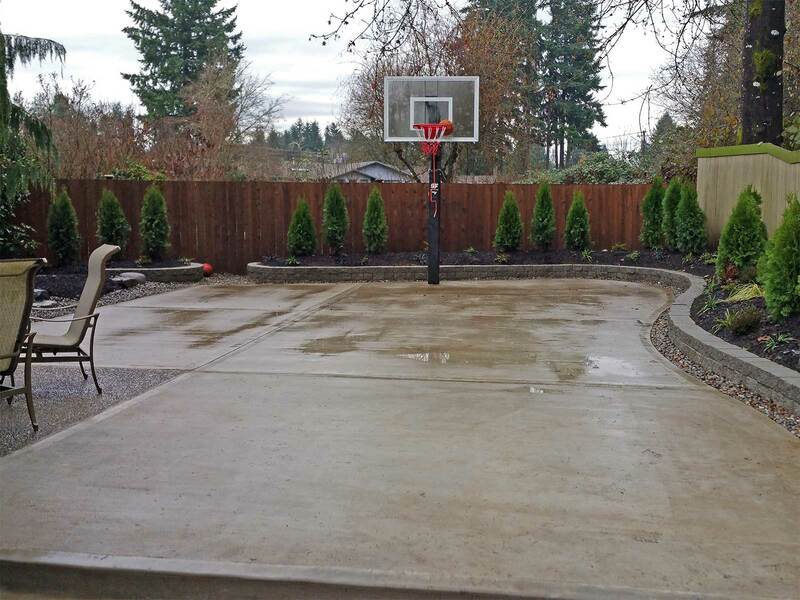 Unfortunately, this is one of the areas where home builders tend to skimp to cut back on costs. 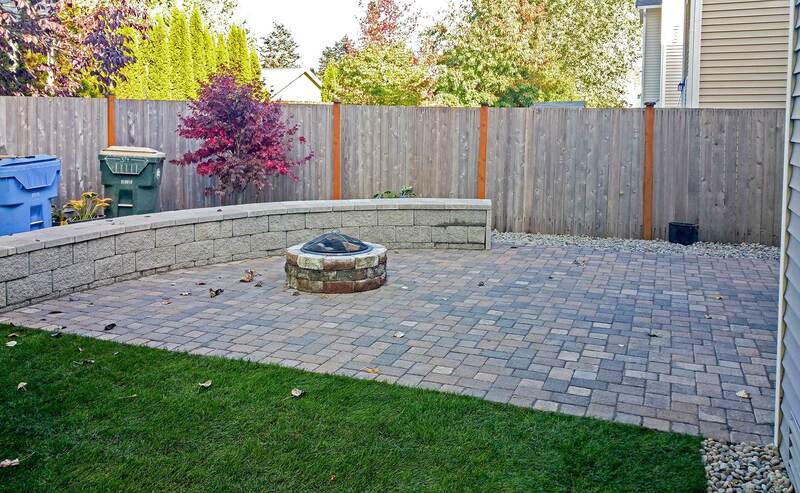 Oftentimes, these features are built as inexpensively as possible. 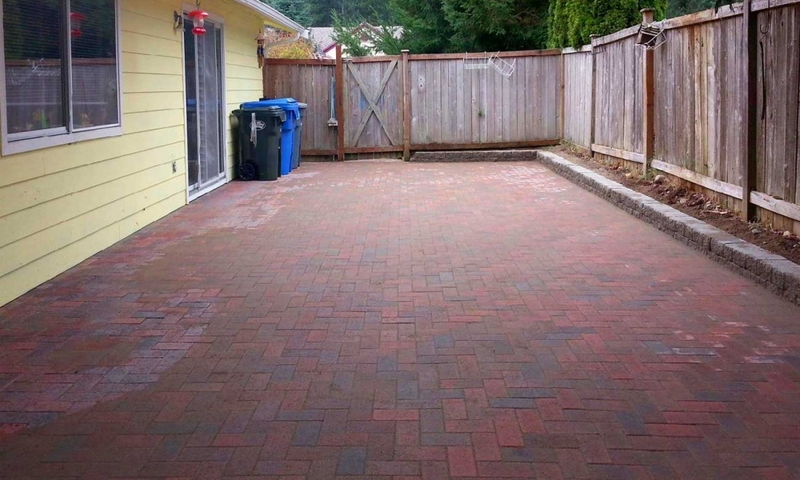 Many homes have patios that are too small for to be used and driveways that begin to crack after just a few years because they were poorly installed. 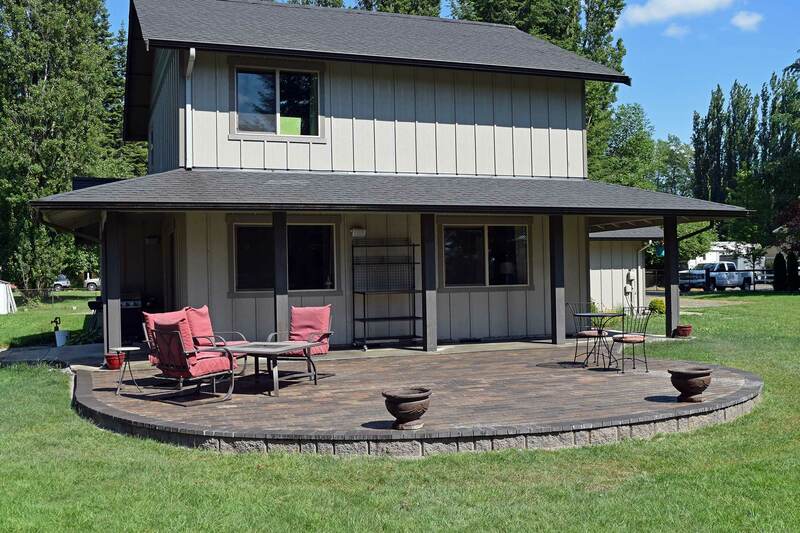 You can do better! 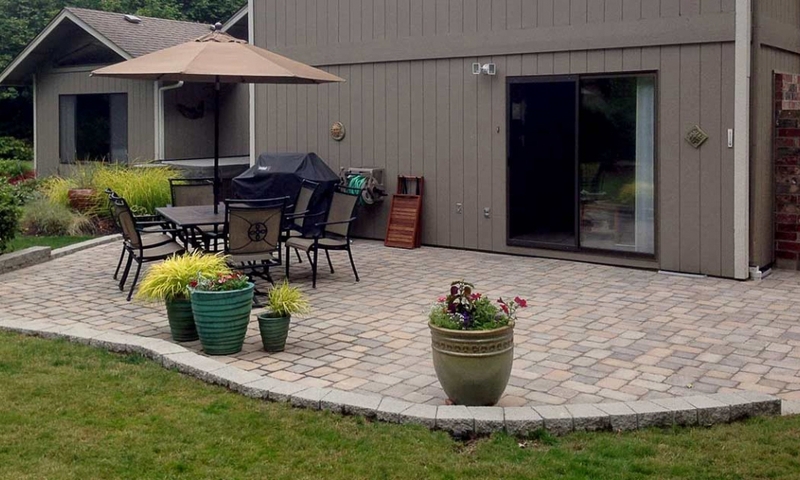 AJB Landscaping and Fence has been building high-quality patios, driveways and walkways for over a decade. 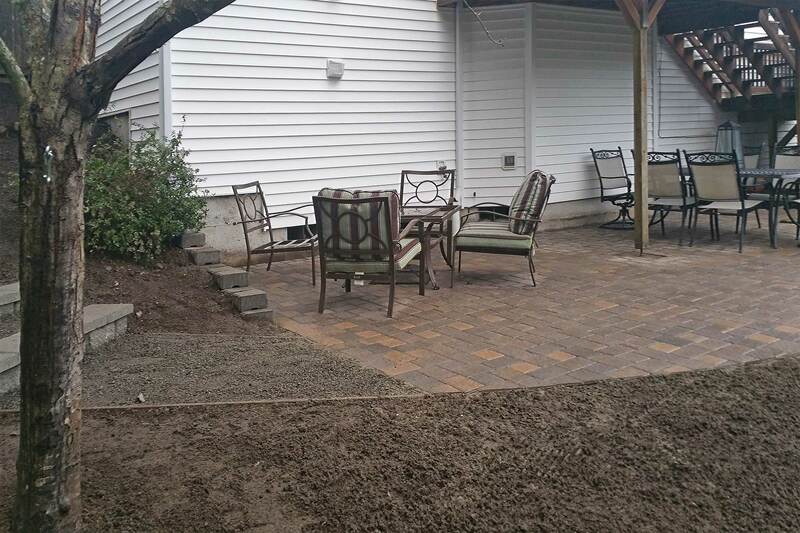 Because of our experience in excavation, we will make sure that your new surface is built correctly from the ground up with proper foundation and high-quality concrete or paver materials. 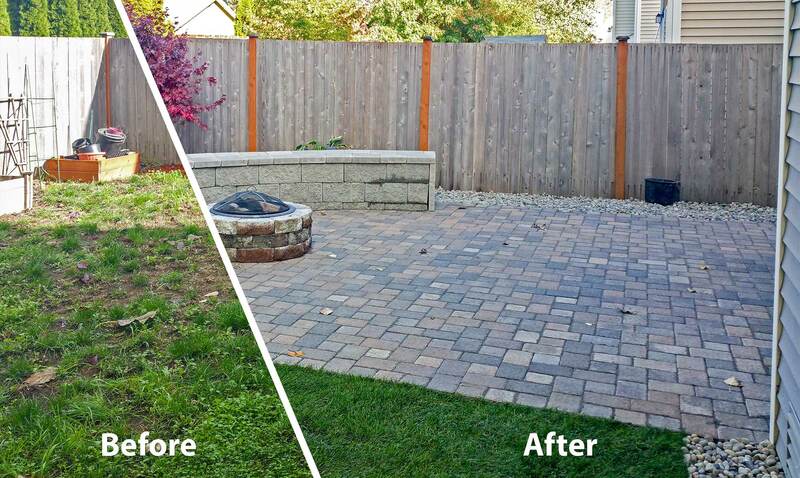 Whether you are extending an existing patio driveway or replacing and rebuilding from scratch, expect AJB to get the job done right. 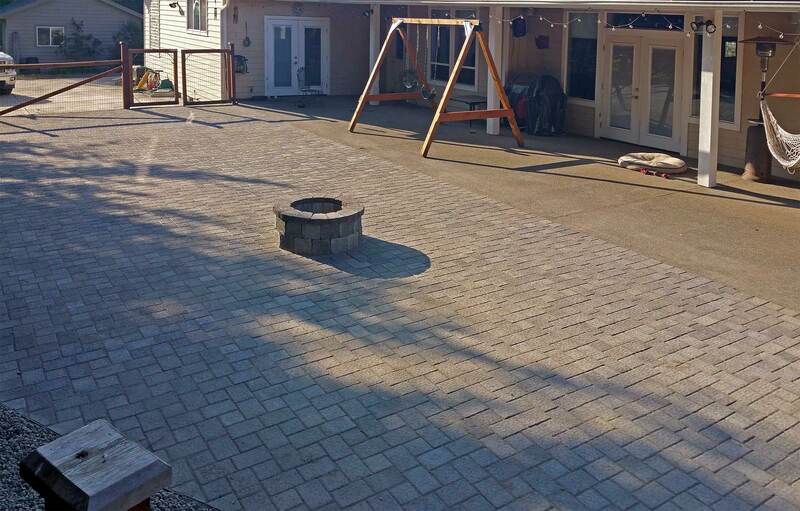 Paver Patios, Walkways & Driveways - Pavers are a cost-effective way to add a level of distinction and beauty to your property. 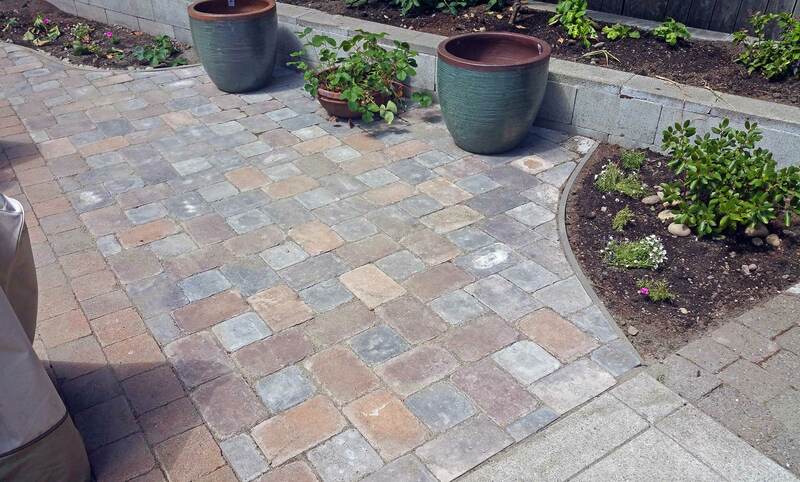 Available in a variety of styles and colors, pavers allow water to drain through, making them ideal in wet climates like the Pacific Northwest. 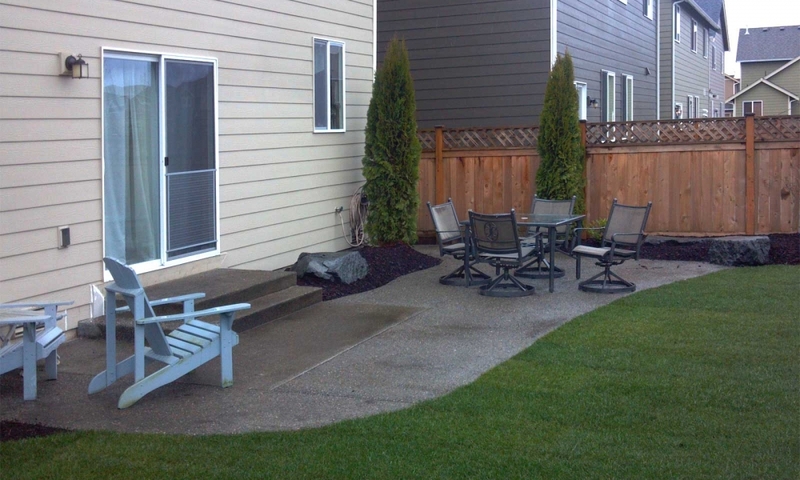 Concrete - The gold standard for affordable surfaces, concrete can be very durable when properly installed. 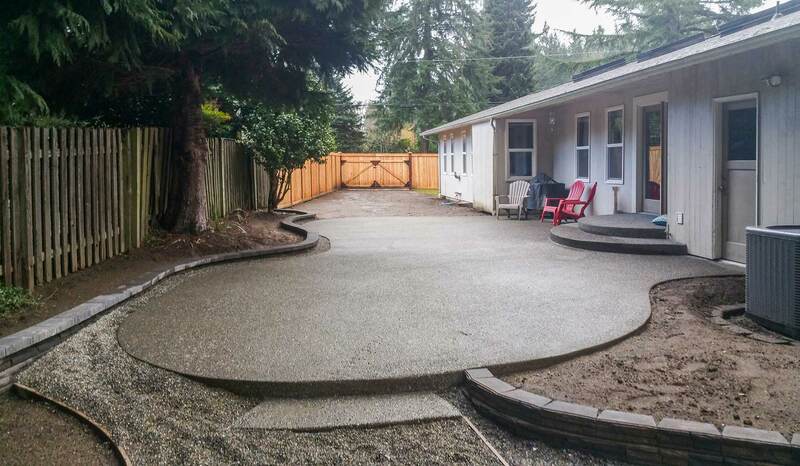 Aggregate Concrete - Add a touch of distinction to concrete with this method of installation that adds chracter and texture to concrete surfaces. 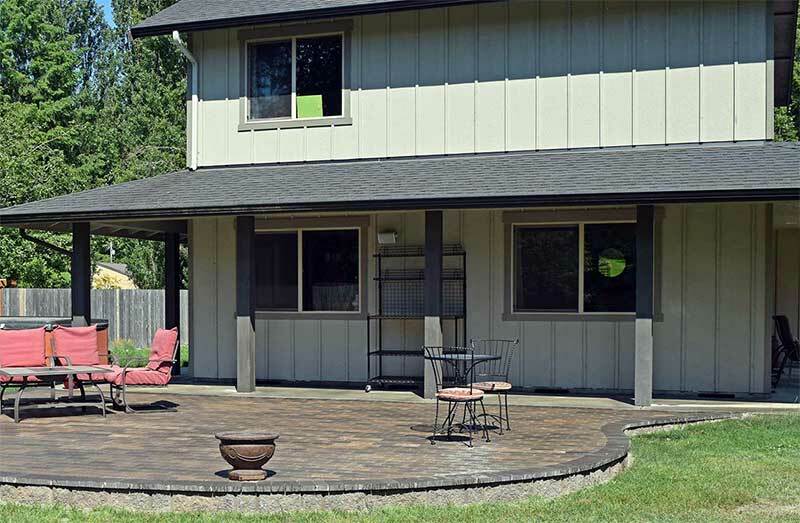 Patio Extensions - Another way to lower your costs, AJB can work with your existing patio or driveway and extend them with concrete, aggregate concrete or pavers. 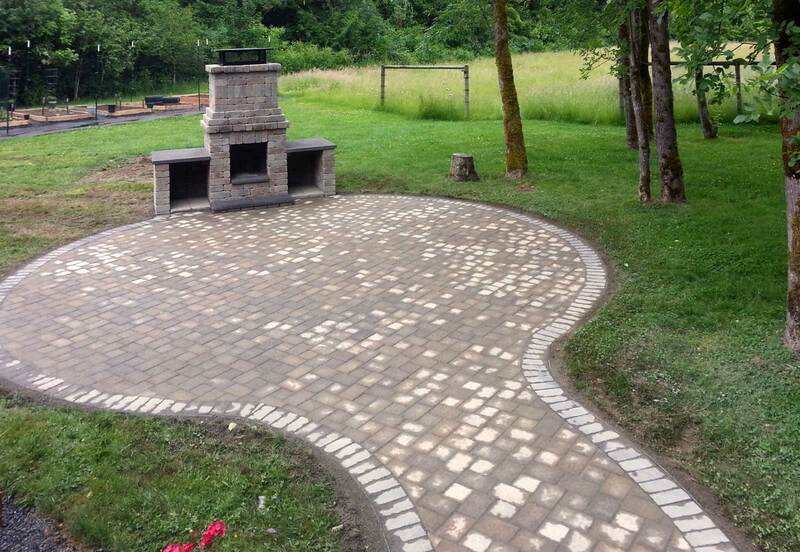 This is a great way to increase the usable area of builder-installed surfaces while lowering costs. 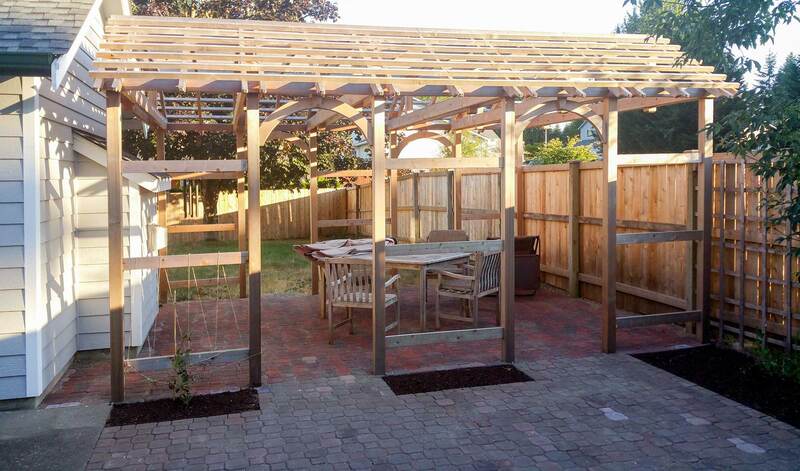 Browse through individual projects below. 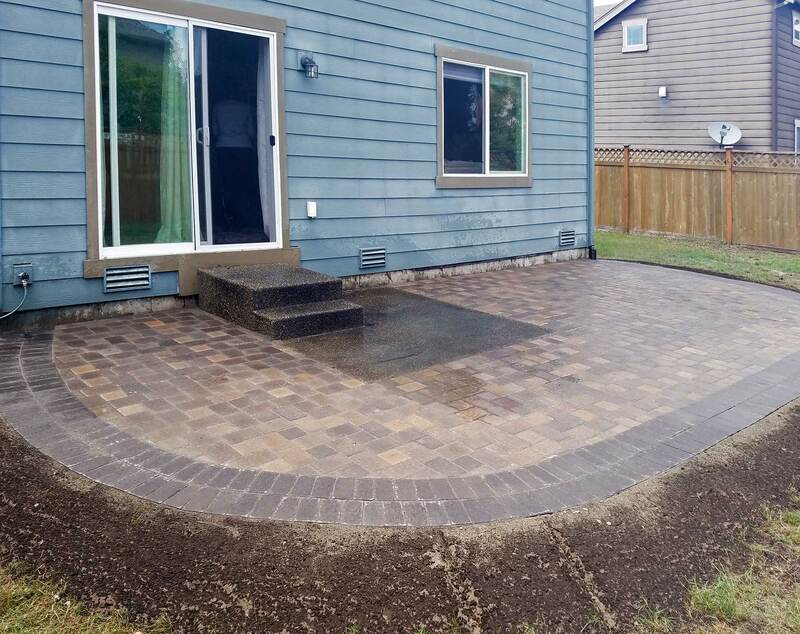 Then fill out our contact form at the top right of the page and we'll contact you to schedule a free estimate for your patio, walkway or driveway project. 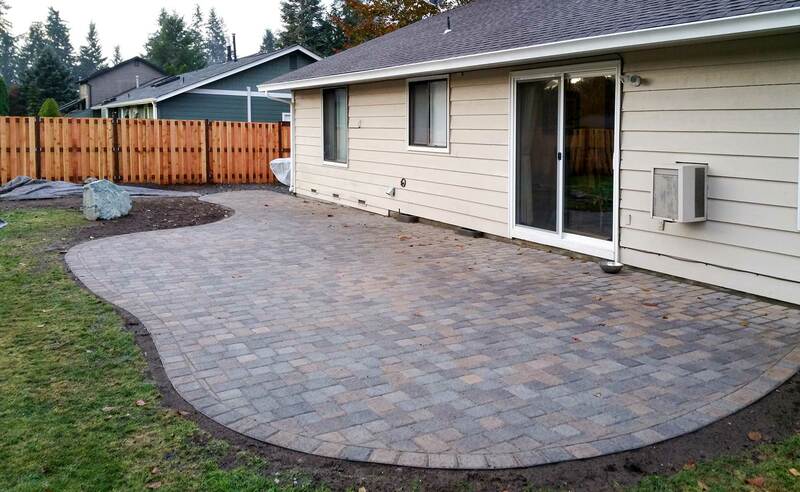 AJB Landscaping & Fence reset the original pavers in the foreground and added a new extension to the back using the same Mutual Materials pavers.